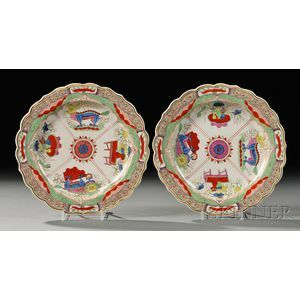 Pair of Worcester Porcelain Dragon in Compartments Pattern Plates, England, c. 1775, each with scalloped rim and gilded trim to polychrome enamel decorated panels with a kylin and a dragon alternating with a table with ornaments, unmarked, dia. 8 3/4 in. 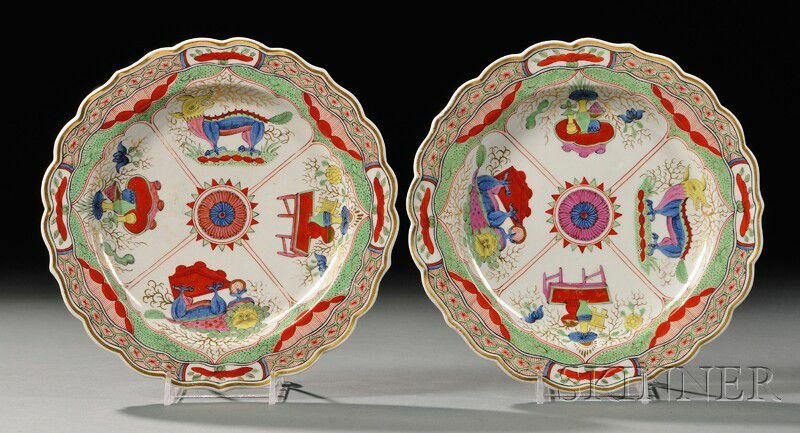 Each with light stacking wear; no cracks, chips or restorations.